Replacing the street signs along the highway could cost around $27,000. The city of Alexandria could be one step closer to making changes to Confederate tributes around town. Media outlets report that last year, the city council created a seven-member group to address confederate flags, memorials and roads named after confederates. The group released a recommendations report Thursday. 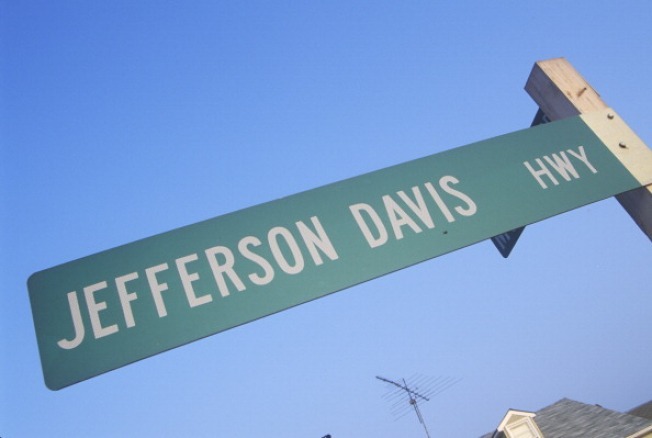 Among its suggested changes are that the stretch of Jefferson Davis Highway through Alexandria should be renamed. Replacing the street signs along the highway could cost around $27,000. The City Council last September agreed to stop flying the Confederate flag on public property. It will consider the group's latest recommendations last month.